It was one of those days when I’m just pacing myself after being under the weather; you know, preparing myself to go back to the salt mines so to speak- grab a chair, surf the web and all that. 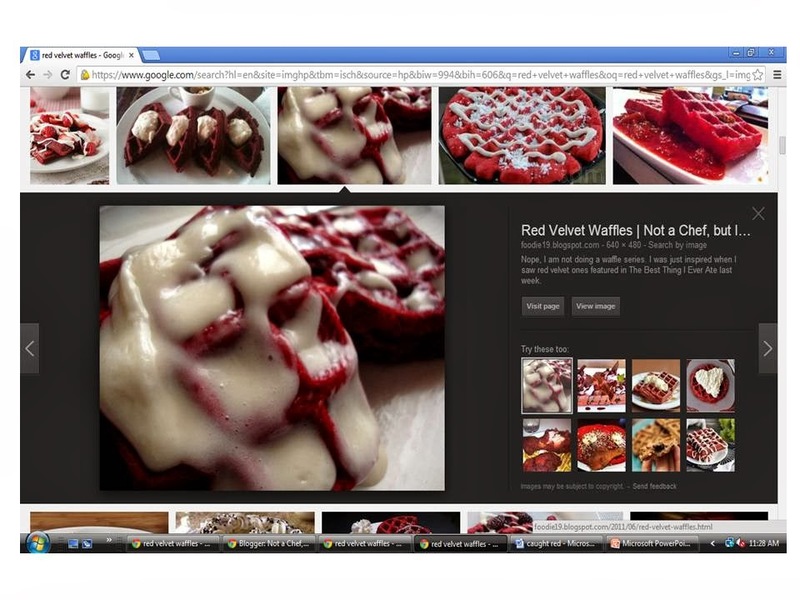 And for some reason found myself “Google-in” for red velvet waffle images. 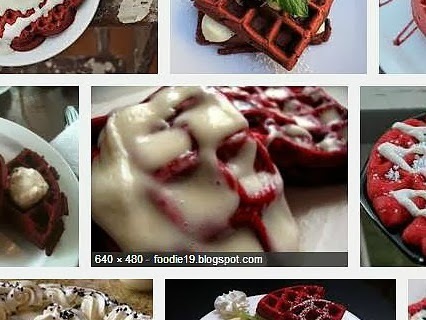 Of course I saw my pictures there- I mean my red velvet waffles. Which leads you to my blog when you hover it. And then something caught my attention. It was a cropped image of the same picture! 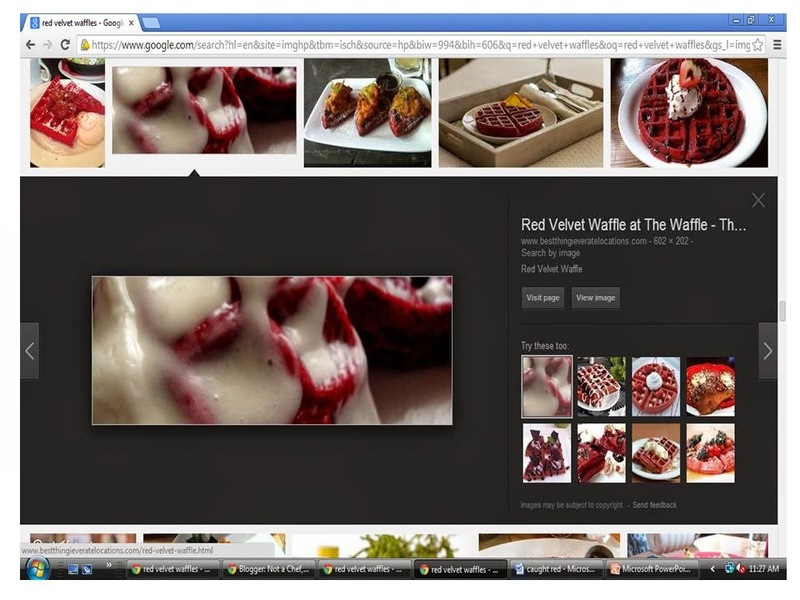 But when I looked closely and hovered over the image- I saw it bore a link which leads to a different site. My picture is being used without my permission or at least indicate its real source. I don't know if I should be offended or flattered or insulted. I just thought I'd post about it. I wanted to contact the owner of the site but there's no contact point like email which is weird. It should be a positive feeling- my picture must be nice that some other people took an interest in it- but it is definitely nicer to be told. I guess I must watermark my pictures from hereon. 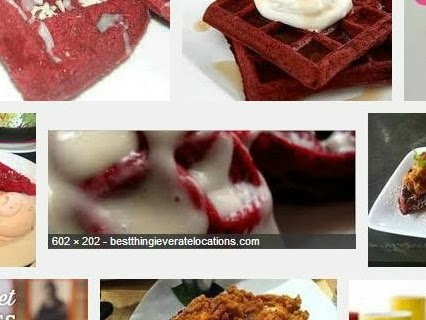 The picture is from my June 9, 2011 post Red Velvet Waffles.